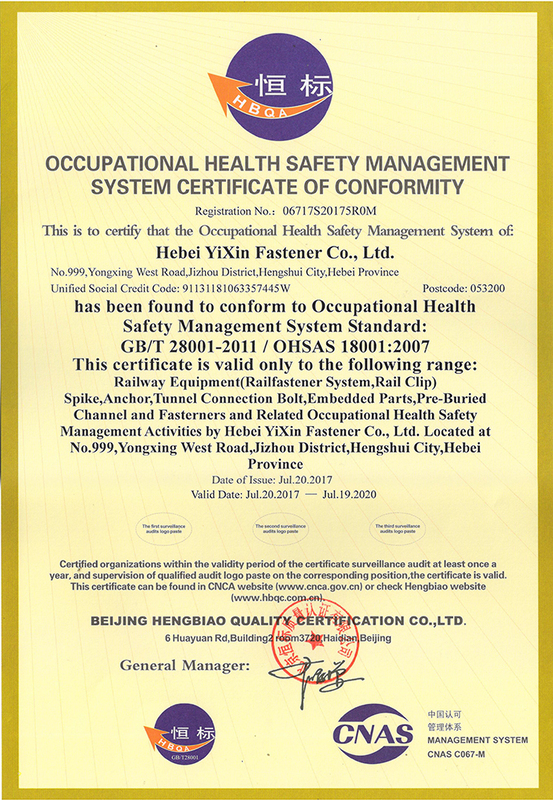 Company Overview - Hebei Yixin Fastener Co., Ltd.
3YRSHebei Yixin Fastener Co., Ltd.
Hebei Yixin Fastener Co., Ltd. with great geography advantage, Located in Hengshui city. Hebei. Near by Beijing and Tianjin port. 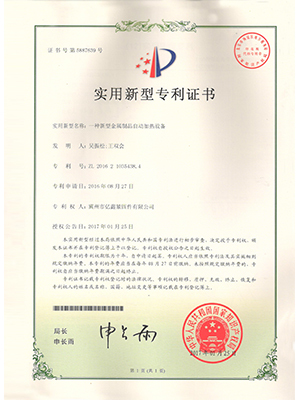 As an export-oriented company, In order to expand our global business, we have become a professional import and export institution. 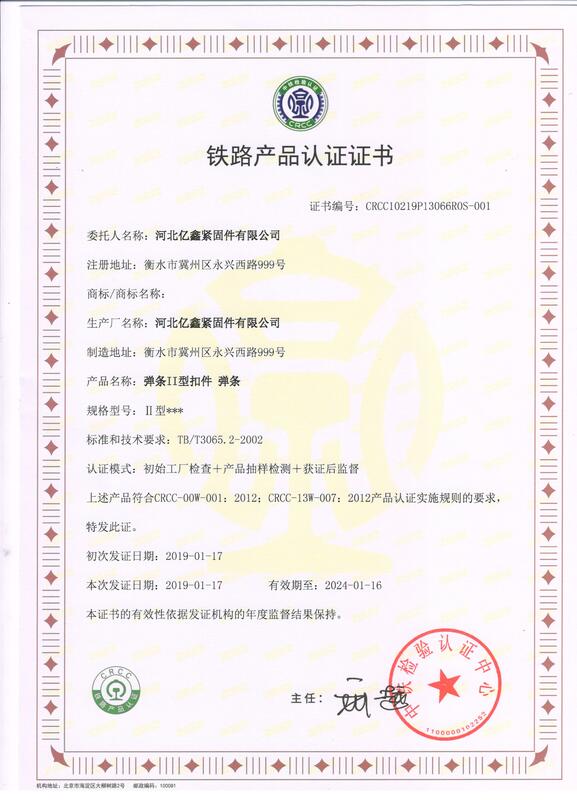 Our company has passed and certificated by ISO9001:2008, CRCC, GB/T28001-2001, ISO14001: 2004,AAR.RDSO etc. 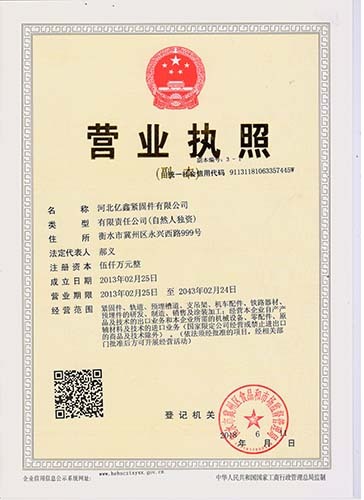 Our products has gained great reputation from domestic projects and European, Asia, Mideast, Africa, America and other global partners.Our company is the design production, processing and a sale of standard part enterprise. 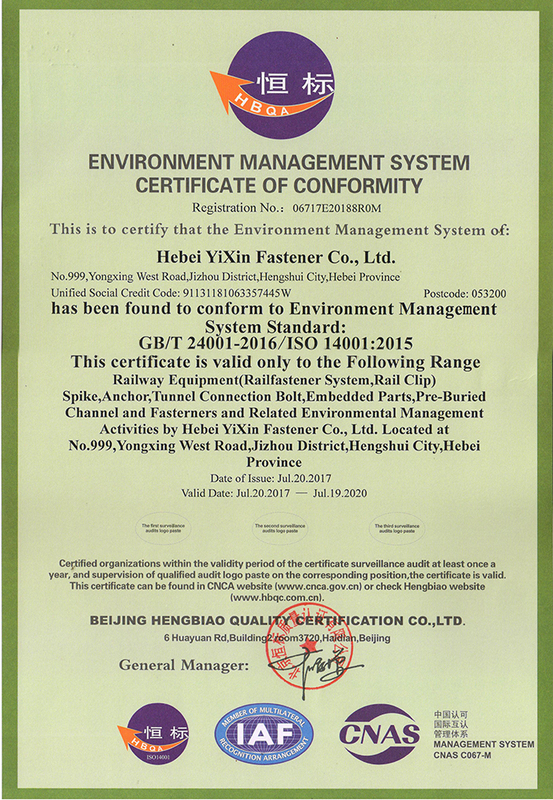 The featured products include: Rail clips,rail screw spike,High strength Bolt, Washer, Bolt for Rail and other customized fasteners. 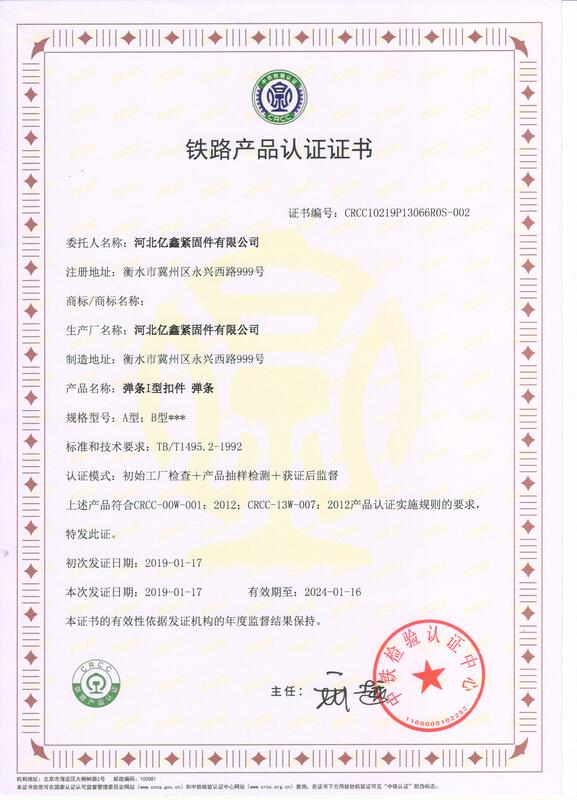 Advanced pro-duction equipment and detect instruments ensure the quality and variety demand of partners.On our technical leader concentrate on the development, we have the ability to adjust the mode and pro-duct of design and development. 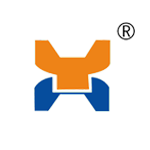 In product technology and production equipment excellence innovation, and strive to provide the most sophisticated quality products and technical assistance. 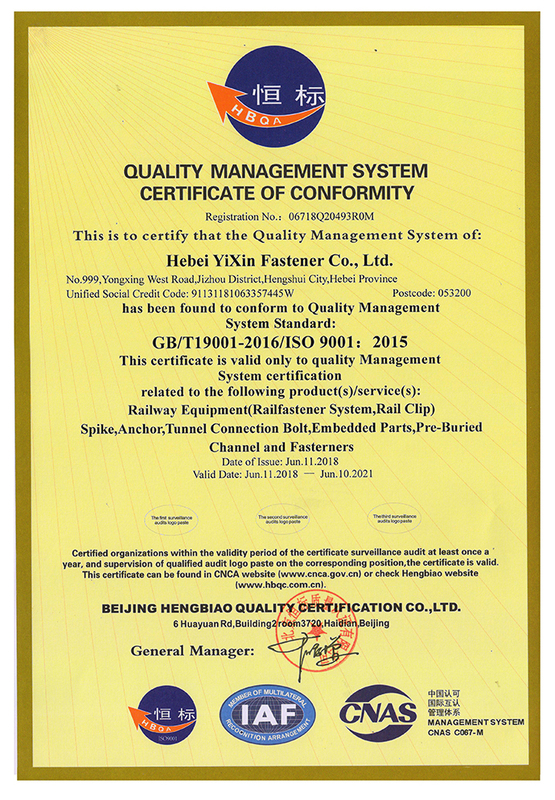 BEIJING HENGBIAO QUALITY CERTIFICATION CO.,LTD.